Flavor & Fun known 'round the World! 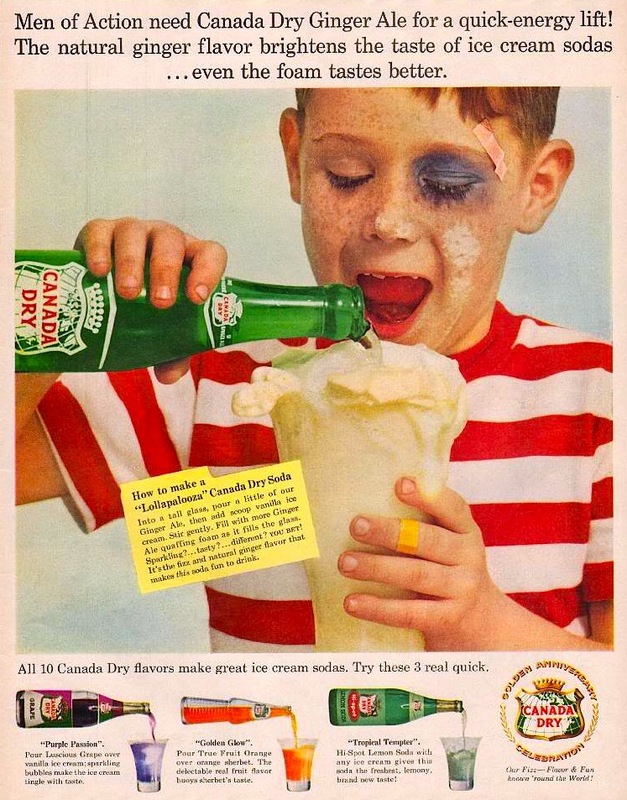 Canada Dry ad from 1958 with refreshingly fun recipes for "Lollapalooza," "Purple Passion," "Golden Glow," and "Tropical Tempter" Canada Dry ice cream soda floats. 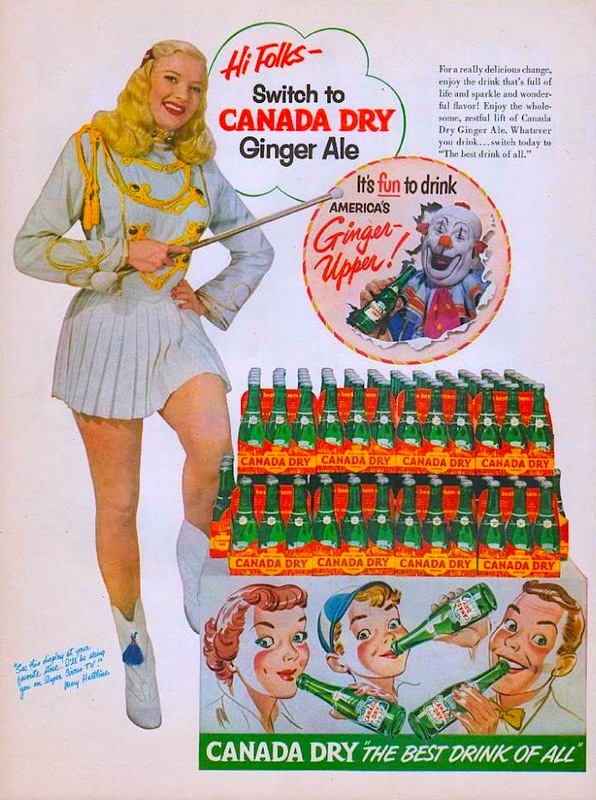 Canada Dry ad from 1952 featuring TV superstar Mary Hartline from the show Super Circus.